As part of the consent decree reached in the Justice Department investigation that followed the death of Freddie Gray and the ensuing unrest, an assessment team from the National Police Foundation recently completed a study taking inventory of the Baltimore Police Department’s technology infrastructure. The study meant to determine what work needs to be done in order for the department to meet the reporting and other requirements set by the decree. The study’s findings—coming just months after Baltimore’s 911 center was struck by a ransomware attack—paint a damning picture of how tech has been managed by the eighth-largest city police force in the country. 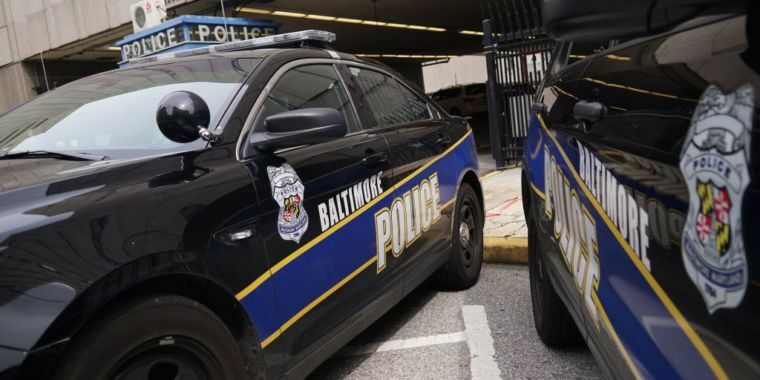 Over the past year, the Baltimore Police Department (BPD) has moved its IT department up and down within the organizational structure three time. The Information Technology Section has been put in charge of maintaining systems it had no hand in acquiring, because the director of ITS is not part of BPD’s executive staff. Core technologies used by the department are no longer supported by software vendors, with some over 20 years old. And the Motorola radio system used for mobile communications by the force, including 911 dispatch, will no longer be supported after this year—and there are no plans in place to replace it. BPD lacks IT policies and procedures. Where they do exist, policies and procedures are often not followed [or] enforced. This includes a lack of database standards and database documentation that has contributed to grossly unreliable databases of questionable utility… Many units within the department have similarly become silos in which individuals have developed business processes that may or may not use certain information systems as intended or have created workarounds to complete analysis that the existing systems cannot do. Alternatively, some units have purchased new systems in an effort to meet their needs. In other words, the BPD’s IT environment is in chaos, and the Information Systems Division—a staff of 34 people, most of them contractors—spends most of its time putting out individual fires with little top-level direction or project funding. In the 1990s, during the administration of former mayor Martin O’Malley, there was a push to make crimefighting more driven by data, using a system called Comstat. Comstat, like Baltimore City’s Citystat system, was supposed to provide leadership with statistics and trend data that would help shape decision making (a detail that may be familiar to fans of David Simon’s television series The Wire). But after O’Malley left for the governor’s mansion in Annapolis, the city and police department drifted away from the plan. While Comstat is still in place, the way data is now collected for Comstat reports varies across the department, because every patrol district commander prepares the statistics entered into the system differently. That’s because an increasing amount of the data collected in the daily business of police operations doesn’t make it into the department’s central records management system—a 20-year old software system called InPursuit. Lotus Notes apps are pervasive through the department. There are over 150 Notes-based applications and databases, including BPD’s primary Case Management System (CMS) for detectives. A single part-time staffer is responsible for development and maintenance of these applications. Although some Lotus Notes modules are integrated with InPursuit’s Oracle database, the majority don’t—instead, they use their own Notes data stores. Other applications connect to other Oracle databases or to Lotus Approach desktop databases built to fill in gap. IA Pro, an internal affairs application, can no longer be upgraded because the city uses it with Oracle, and the developer now only supports Microsoft SQL Server. Multiple attempts to revitalize the department’s IT systems have fallen short. “Technology projects have historically been partially rolled out and then, due to various reasons, stopped and scrapped,” the report noted. All of this makes federal- and state-mandated reporting, crime analysis, and other tasks incredibly complicated because data is not consistent across the systems. “While not wholly uncommon, the extent of data mismatch placing undue burden on staff to manage records as best they can, is notable,” the survey team wrote. Another major problem with the department’s technology is keeping track of the actions of officers on duty. While the department has started to roll out body cameras, a lot of information about what police officers do still has to be captured manually—which means it’s often not captured at all. While Baltimore City has upgraded its 911 systems and has an automated dispatch system, the “automated” part ends at the police department. Dispatchers still need to relay information about calls to police officers by voice over BPD’s antiquated communications systems. In December, Motorola is ending support for the 45 Gold Elite radio consoles (in service since 1999) and the over 5,000 XTS/XTL 5000 mobile radios (introduced in 2010). The company has submitted quotes to the BPD for new radios—but the department has not made any allocation for new radios in the 2019 budget. Parts and replacements for the radios are no longer manufactured—meaning that the BPD’s entire communications system is a dead network walking. For deployed mobile data computers, IT provided “train the trainer” type training to district representatives for them to return and train the rest of the officers in their districts. However, that process translated into those representatives handing officers a printed-out PowerPoint presentation to review independently as training. There is some movement to improve the technological posture of the city as a whole. Baltimore’s new Chief Information Officer, Frank Johnson, has put together a draft “Inclusive Digital Transformation Strategic Plan” that seeks to centralize all IT operations within the city’s Office of Information Technology. The plan dramatically boosts the city’s overall technology spending to match (and eventually exceed) that of other cities after a long period of neglect. Right now, the entire city’s IT budget is about $67 million per year—just 2.5 percent of the overall city budget and about half of the average local government’s annual IT spending. Most of that is dedicated to maintaining existing systems. The new plan would put OIT “Agency Relationship Managers” at the BPD and other city agencies. It would also push toward enterprise cloud services for all agencies, provide a geographic information system, and implement a range of “smart city” technologies and citywide digital communications systems. No specifics in the plan (yet) would address how to deal with the BPD’s particular problems. But the National Police Foundation team’s recommendations urge the department to coordinate with the city’s OIT in fixing things and to put someone at the department in command of the technology picture going forward. “BPD does not have a central authority that can advocate for sound IT decision making throughout the department,” the survey team found. “As a result, BPD has had a habit of reacting to opportunities that are unit commanders perceive to help individual units rather than examining opportunities from a department or city-wide perspective.” The first step to fixing that, they determined, is actually having a plan—and the authority to execute it. Given the city’s recent difficulty in keeping steady leadership at the top, that may be significantly easier said than done.